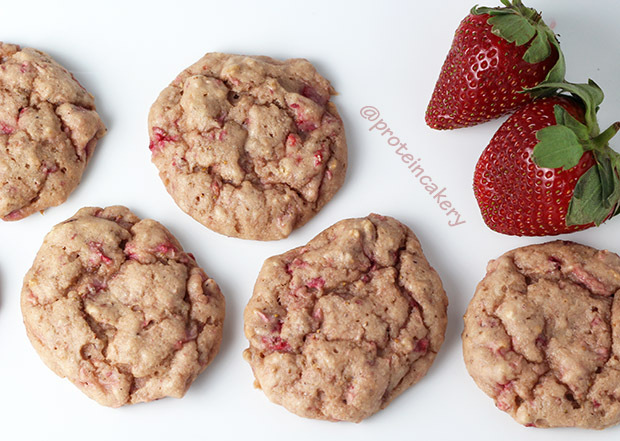 These Very Strawberry Protein Cookies are super-easy to make, with only 4 ingredients! 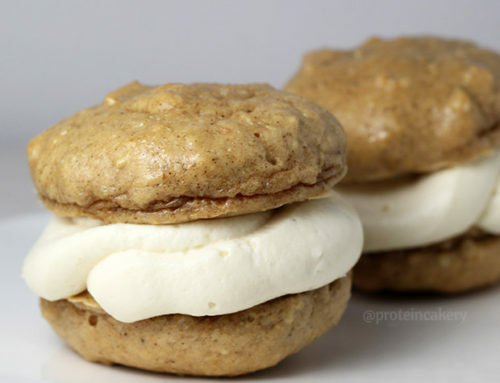 These easy protein cookies were born out of need for something to work out. You know those days when you have a giant list of things to do, and at the end of the busy day the list still looks about the same… yeah. I’ve been having many of those days lately! 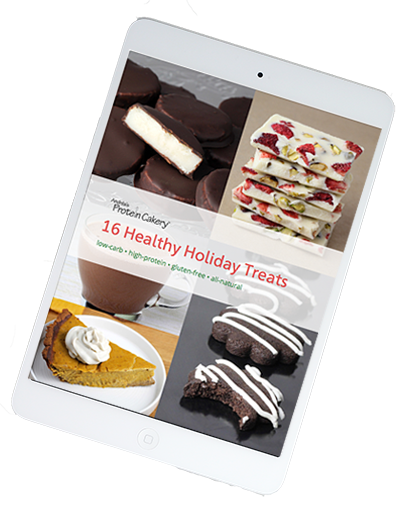 My goal is to keep offering you recipes, even while I grow the online shop. 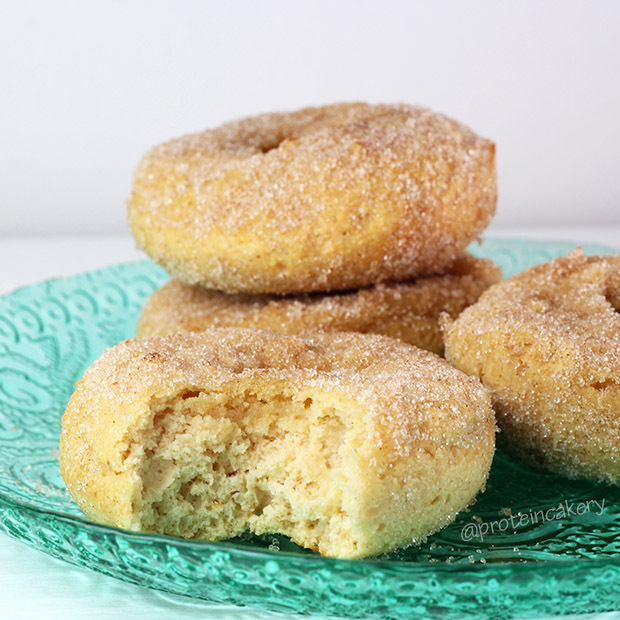 So I woke up early yesterday to make a new recipe for you, and… it didn’t work out. So I went back to basics, to this great, easy combination of ingredients. 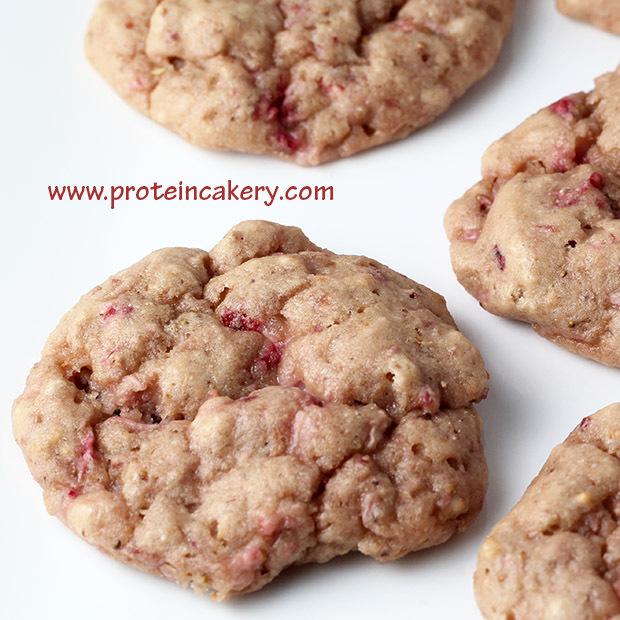 And your Very Strawberry Protein Cookies were born! 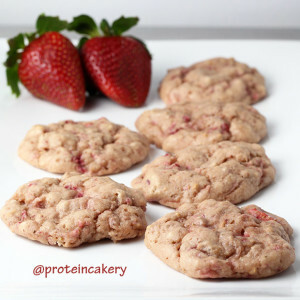 I used Strawberry Nutriwhey all-natural whey protein powder. As a shake it tastes like the strawberry milk I used to drink as a kid! 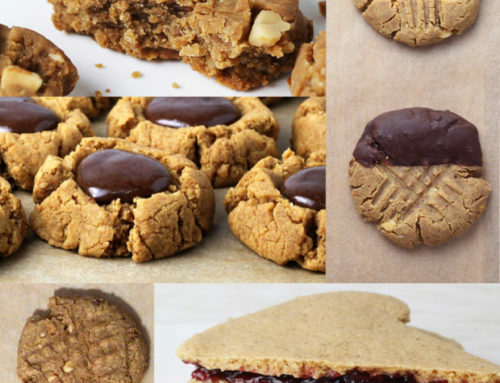 The best thing about this recipe is that you can switch up the flavor to be anything you like! 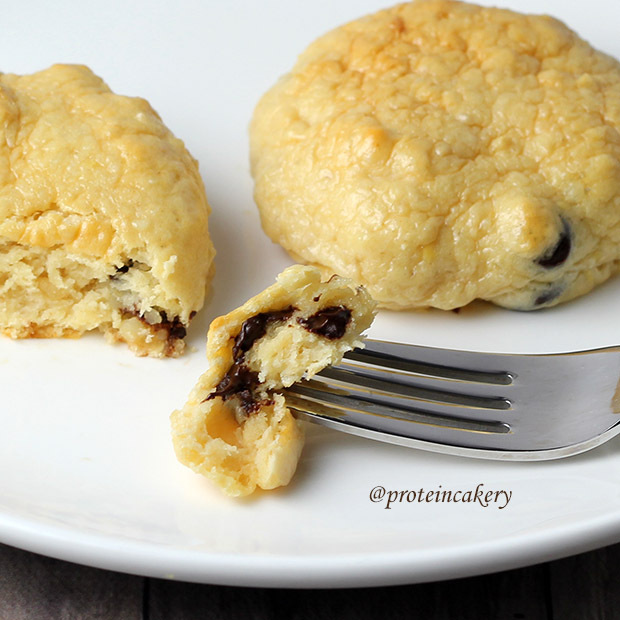 Use a different flavor of whey protein, and/or use a different mashed fruit. 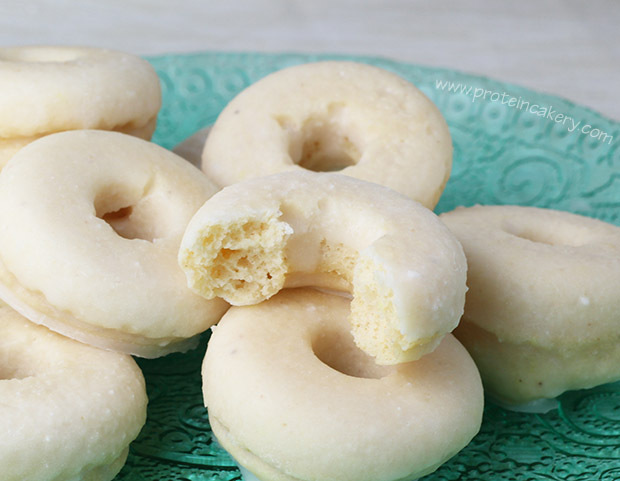 You can even replace the coconut flour with another type (just use more of other flours, as coconut flour is more drying than others). 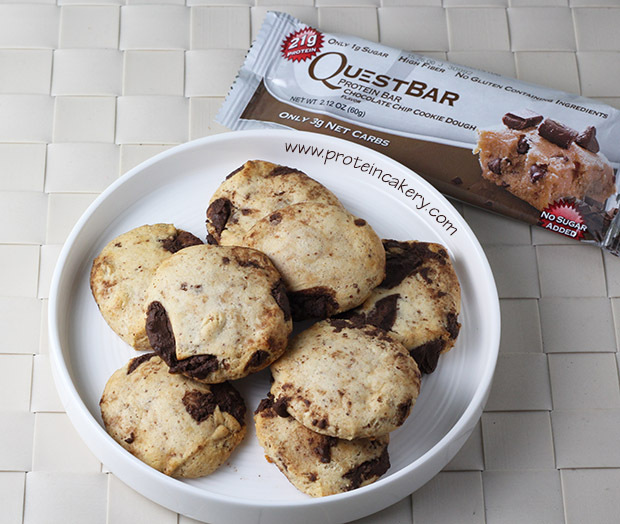 But be sure to use whey protein in this recipe, as other types of protein powder will bake up very differently! 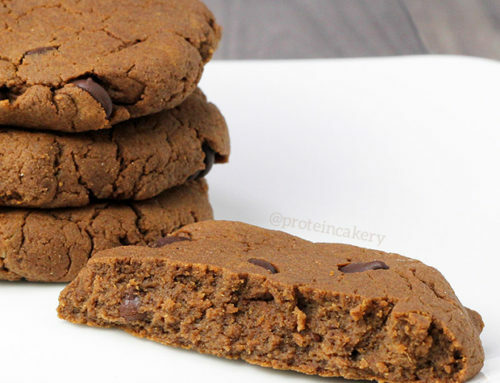 In 15 minutes, you can be eating protein cookies! 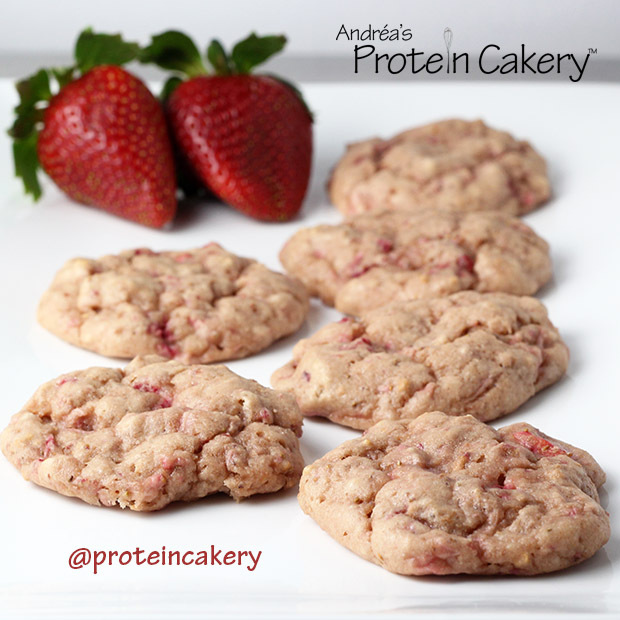 Give these Very Strawberry Protein Cookies a try! Mash strawberries or pulse in food processor a few times. 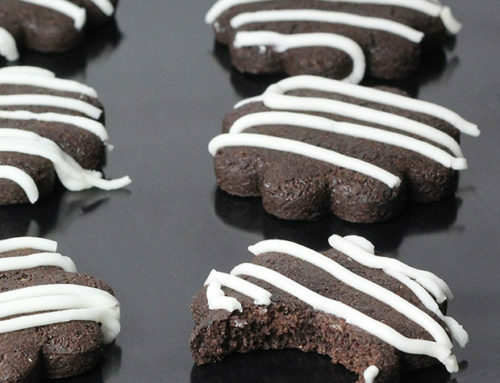 Spoon onto parchment-lined cookie sheet as 6 cookies. Bake about 10 minutes, or just until firm. 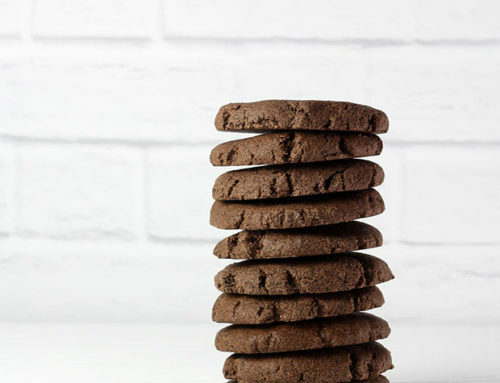 Don't overbake! 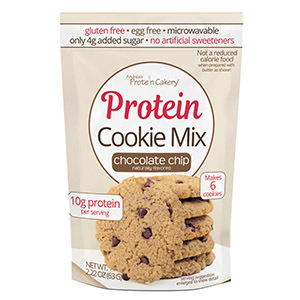 A note about substitutions: because each type of protein powder bakes up very differently, I would not recommend anything other than whey protein powder in this recipe. 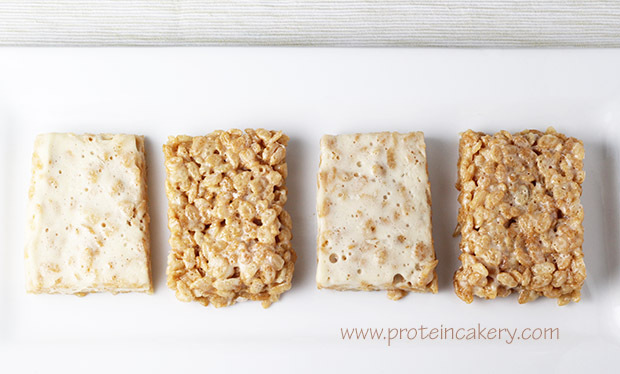 And keep in mind that whey concentrates generally bake better than whey isolates.